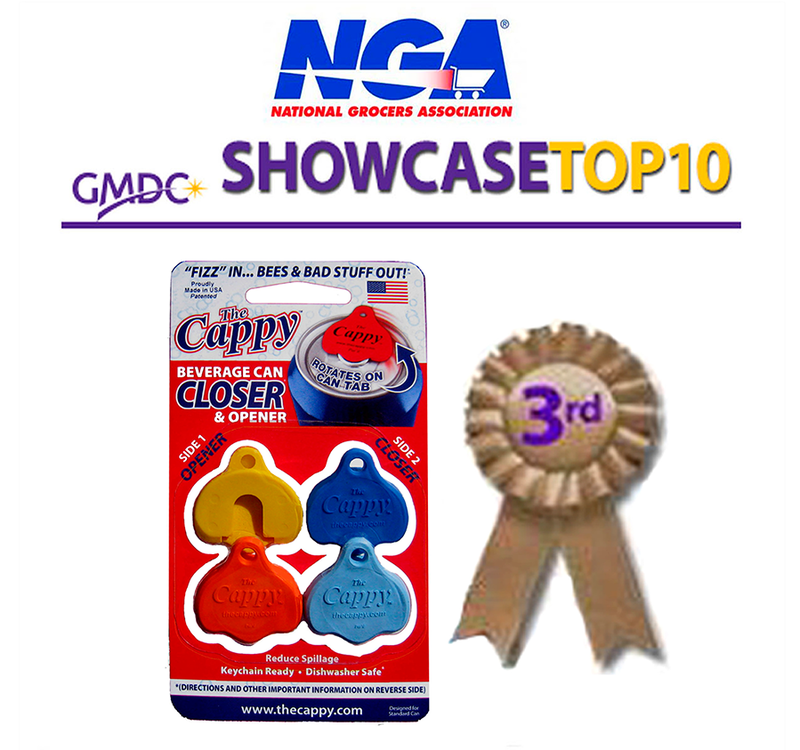 February 27, 2014 – Colorado Springs, CO – The Global Market Development Center (GMDC) has announced the companies with the Top 10 Showcase Products at the GMDC Pavilion Showcase featured at the National Grocers Association’s (NGA) 2014 NGA Show. The Cappy is truly a unique product that functions as a beverage can CLOSER and OPENER. It is available in 12 distinctive colors. The Cappy color identifies ownership, extends freshness/carbonation, keeps the drinking surface clean, protects the integrity of the beverage and reduces spills. For more on the National Grocers Association, click here. For more on Global Market Development Center, click here.